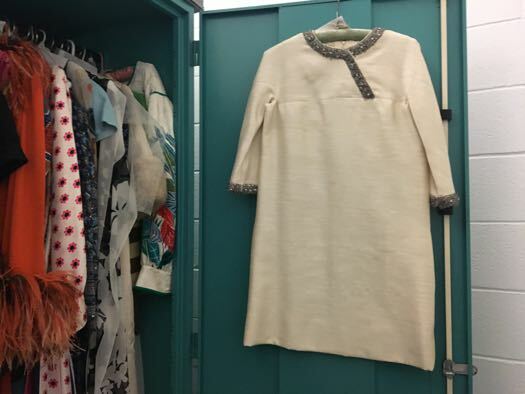 Here's something fun while you're trying to decide if it's finally time to switch your closet over from winter to summer -- a look into the closets at the Albany Institute. 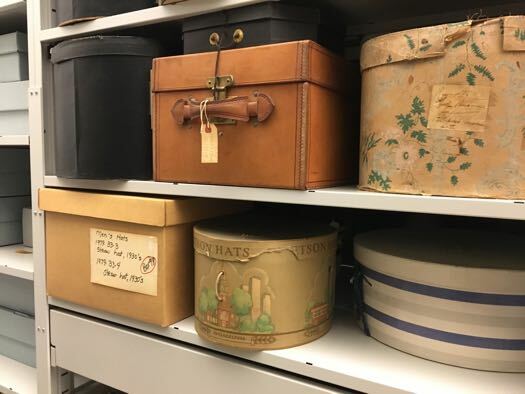 Among its collection of paintings, patents, mummies, and Albany historical artifacts, there are rows of closets filled with clothing made in, or worn in, the Capital Region over the centuries. The collection ranges from 18th century Paris couture gowns, to 1920s flapper dresses, to 1960s and 70s mod. 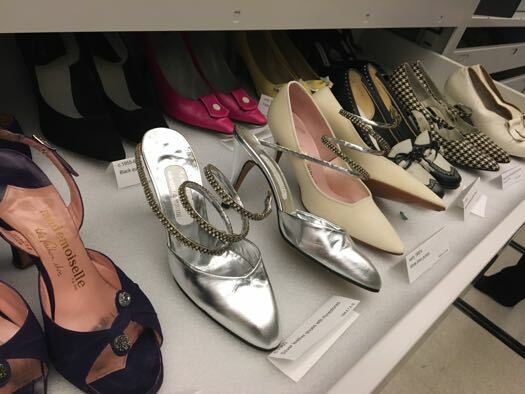 And there are shoes and accessories, too. 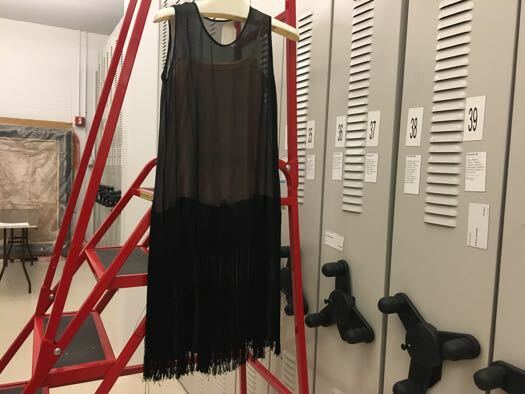 We persuaded curator Diane Shewchuk to let us poke around in the institute's closets this week. Here's some of the fun stuff we found. 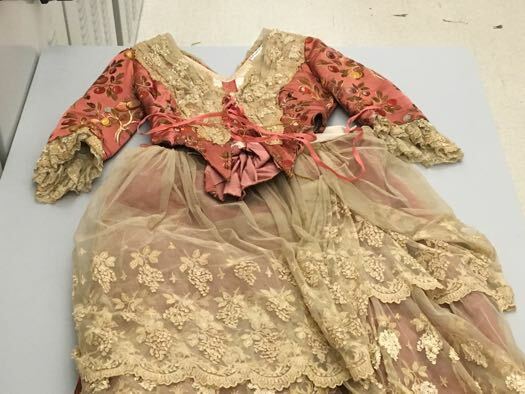 This 1883 wedding gown was worn by Grace Edith Van Antwerp for her wedding to Theodore H. Waterman, an Albany grain merchant and director of the Albany Trust Company. It was made by Alphonse Courtourat, of 14 Rue D'Alger Paris. 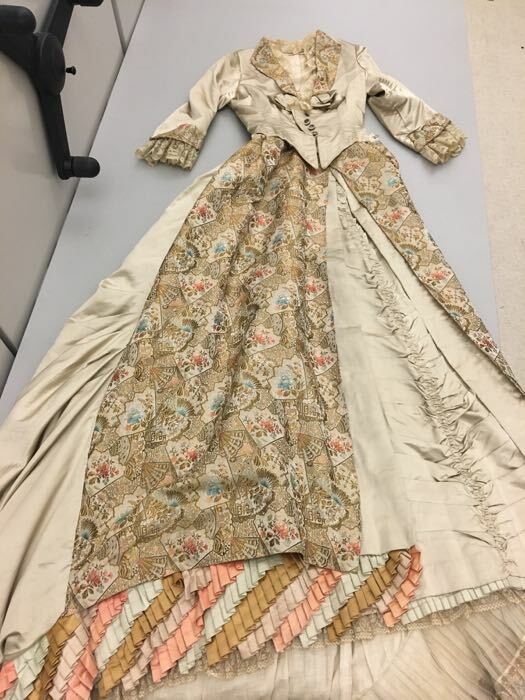 This mid-1860s dress was made by a French dressmaker in New York City, and worn by Mary Augusta Green DeCamp Corning. It's the kind of thing that might have been seen in Saratoga around that time, which is where she married Edwin Weld Corning, a son of Erastus Corning I. 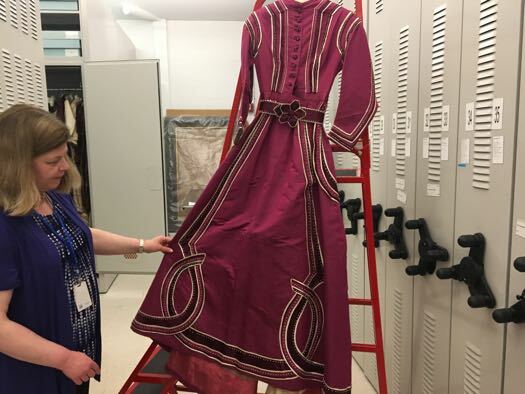 This fancy lilac-adorned dinner dress was made in the 1880s in Paris for Augusta Kirtland Genet, the daughter-in-law of Citizen Genet. 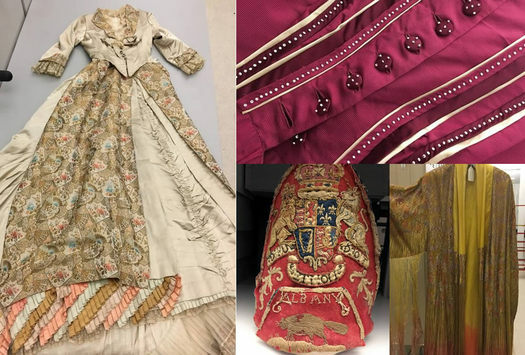 If it looks like it came from the 1780s, it might have been Victorian retro -- a throwback to the late 1700s around the time of the first US centennial celebration. 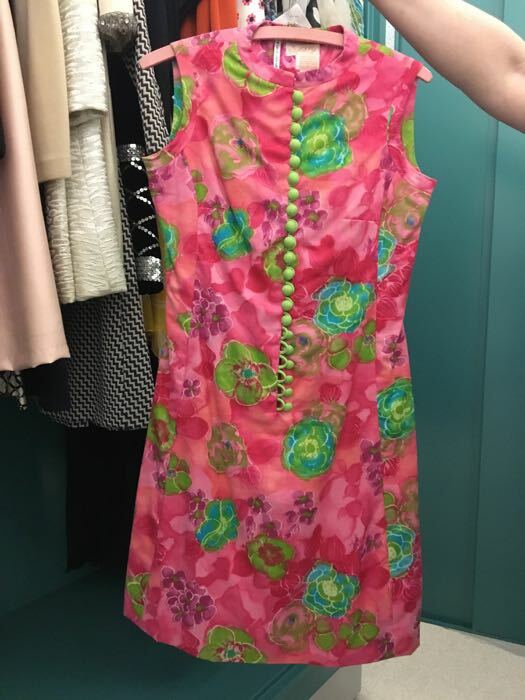 This fun 1970s silk cocktail dress has rhinestones on the sleeves and the neck. 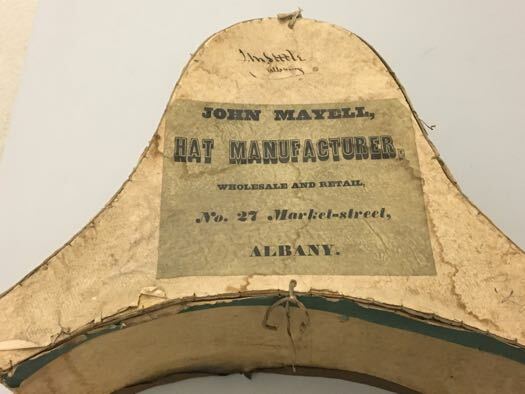 It was made here in Albany by W.E. 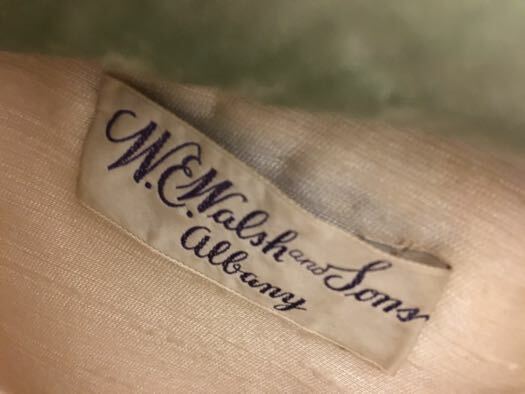 Walsh & Sons on State Street and worn by Anita Pohndorff Yates, a philanthropist and an active part of the Saratoga social scene. 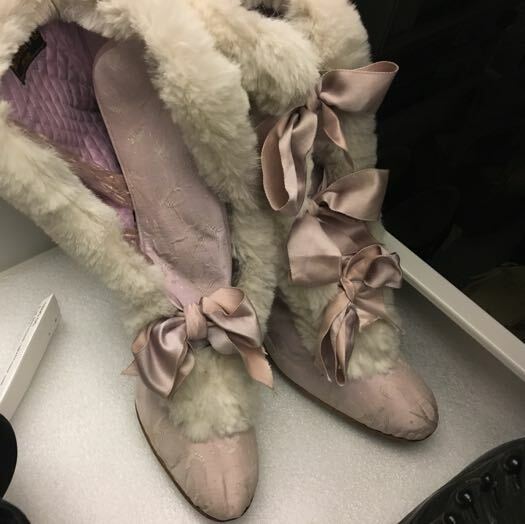 These 1890s lavender carriage boots occasionally show up as a #footcandyfriday post. There are handmade silk slippers. 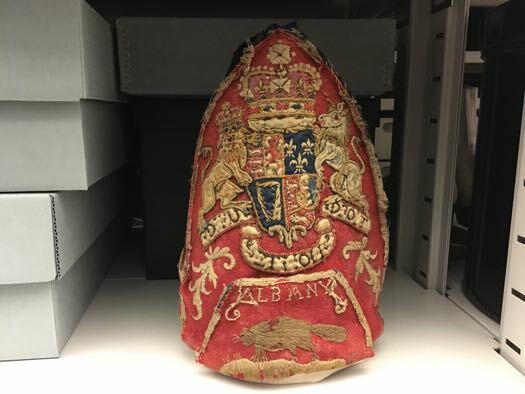 And red riding boots, won by eight-year-old Catherine Fitch of New Scotland -- along with $5 -- as a best equestrian rider prize at the Albany Agricultural Society's fourth annual fair. 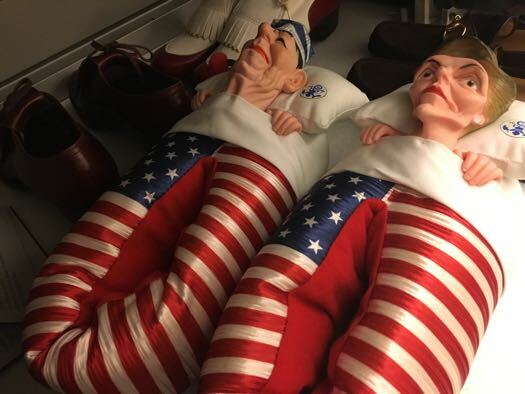 The institute even has a pair of 1980s Ron and Nancy Reagan novelty slippers. The menswear collection is a little thin. 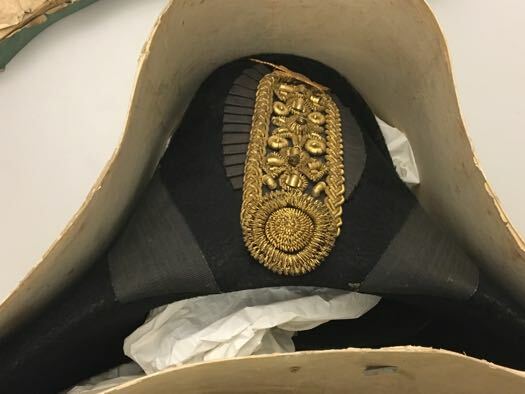 It's mostly military uniforms. 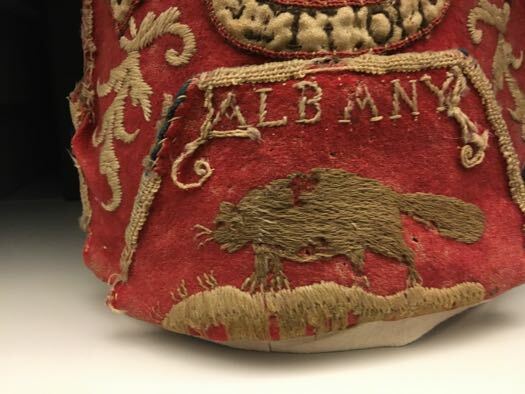 But we found this grenadier officer's mitre cap that dates back to the French and Indian war, and proudly displays the Albany beaver. There are lots of hats made by local hat makers. 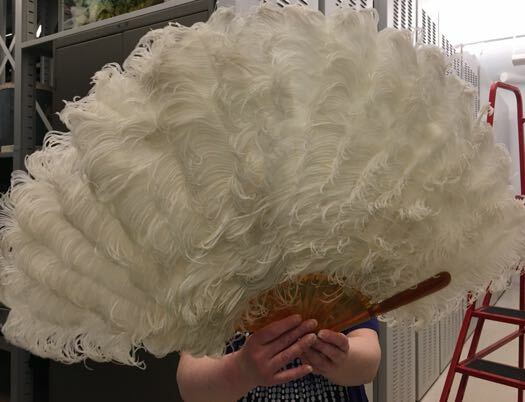 And there are boxes and boxes of fans, parasols, and other accessories. 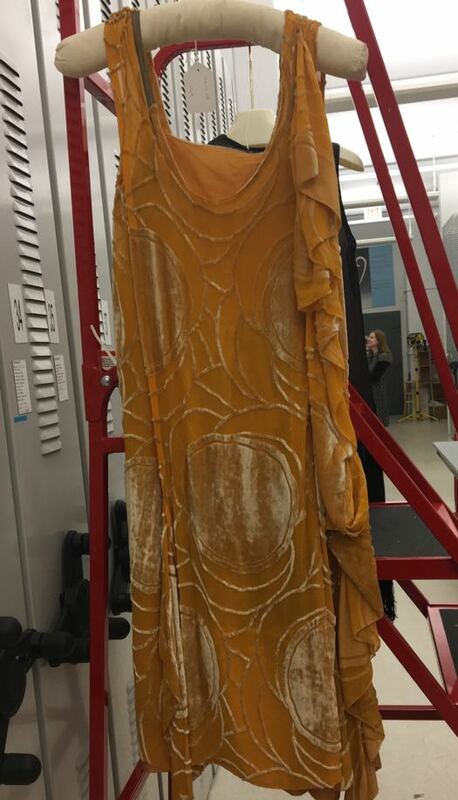 There's a lot more in the collection, and while you can't see all of it up close, Shewchuck says the institute is hoping to eventually rotate the costumes out for exhibit. 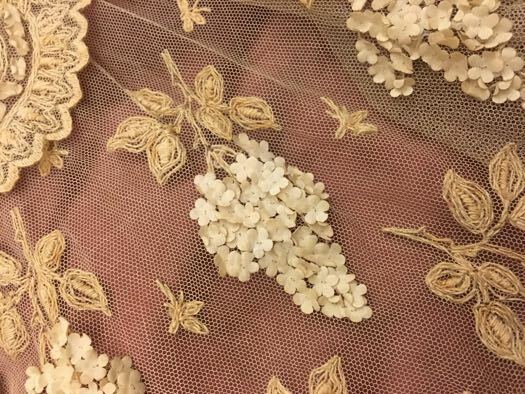 To that end, there will be a Victorian costume show in October featuring many of the institute's 19th century gowns. 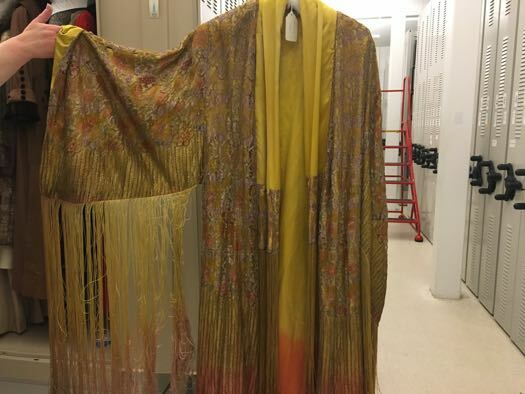 Shewchuck says she has a personal passion for costumes and she's hoping visitors will come away from the show with a richer understanding of the time period as well as the clothing. OK, now go work on your own closet. And take good care of your clothes. You never know where they'll end up. 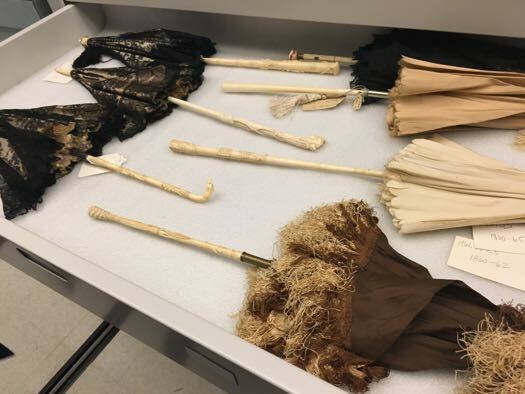 Please please ,make sure the exhibit has sufficient info for each Item. 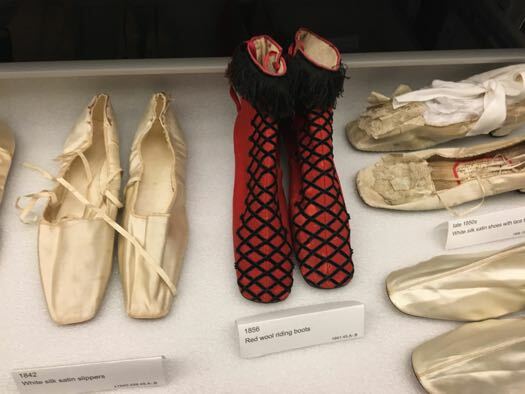 The shoe exhibit a number of years ago was .. Not so much. 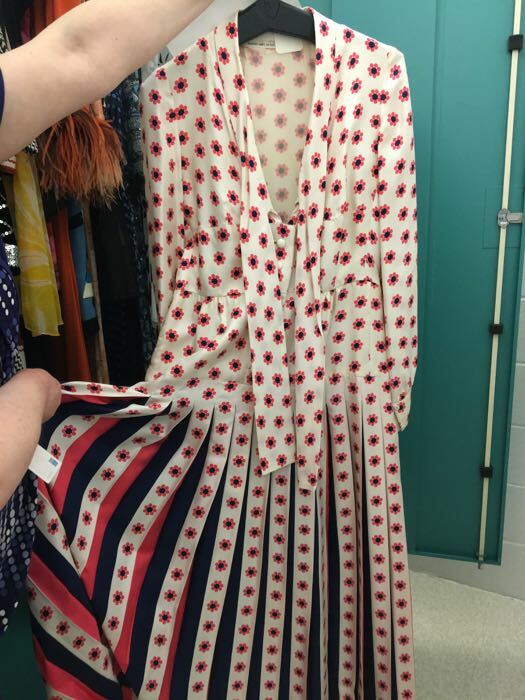 Really describe style, material.. Don't just tell us some rich lady wore to a wing ding. Most of us just don't care. 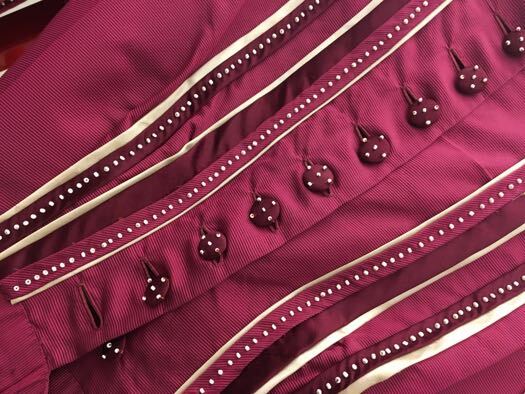 We want to know if bias cut, style of bustle.. And show some older dresses inside out so we can see construction.